DE: Guten Morgen ihr Lieben! Zwei Posts in einer Woche??? Was ist denn in dich gefahren, Bianca? 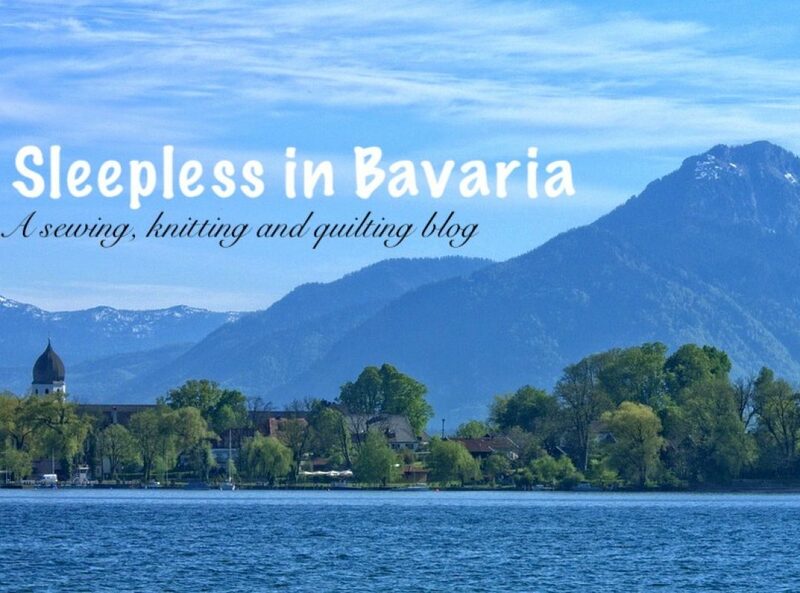 Nun ja, es ist mal wieder der erste Samstag im Monat was natürlich bedeutet, dass mein Projekt Für den Minerva Crafts Blogger Network, fällig ist. Für den April wollte ich eigentlich den Abi Jumpsuit von Athina Kakou nähen, und habe mir daher diesen Romanit ausgesucht, den Minerva Crafts mir im Zuge dieser Kooperation, zur Verfügung gestellt hat. Ich den Stoff dann in den Händen hatte, war mir klar, dass es ziemlich anstrengend werden würde, das Ebenbild des Musters an den Beinen und Schritt und an den Seiten und am Wickeloberteil anzugleichen und habe mich dann doch lieber für das neue Suzy Kleid von Athina Kakou entschieden. EN: Good morning, everyone! Spring is finally here to stay (or at least I hope it is!). When I chose my fabric for this make, I was pretty sure, that it was still going to be freezing and possibly snowing, which is why I wanted to make the Athina Kakou Abi Jumpsuit . However, the beautiful Hounds tooth Ponte arrived, I decided that it was a lot of print for a jumpsuit! Also, I was really worried about matching up the print on the wrap bodice and the trousers and the waist and the back…you get the idea.And before I started tearing out my hair, Athina Kakou went and released her brand new dress pattern, the Suzy Dress . “Now that’s an effortless pattern I can get behind”, I thought to myself. The dress, a simple sheath style dress with a mock wrap skirt, waist tie and a choice of a boat neck or scoop neckline is really quick and easy to make up. It looks really stylish in a plain color and fun in a print – and it definitely falls in the secret pajama category! EN: I went with the boat neck neckline, which I prefer to the scoop neck and cut out a straight size 12. Assembling the top was a real breeze. As the ponte is quite stable I didn’t bother with sewing clear elastic or ribbon into the shoulders. I did however use my serger to sew up the bodice and just to give you a heads up, you might have to adjust the tension, as the fabric is quite thick. The neckband went in on the first try, which I always love! There is nothing worse than unpicking a serged neckline… it is the worst! DE: Die einzige Anpassung die ich an diesem Kleid gemacht habe, ist das Halsband nach innen zu klappen und es von außen knappkantig fest zu steppen. Der Stoff ist, wie oben erwähnt, sehr stabil, und stand an den Seiten etwas hervor. Ich habe versucht das Problem mit dem Dampf meines Bügeleisens in den Griff zu bekommen, leider ohne wünschenswertes Ergebnis. Ich finde, meine Lösung eigentlich recht gut. Ich denke, wenn ich das Kleid noch einmal nähe, werde ich einen Beleg dafür konstruieren. Weitere Details findet ihr übrigens hier, jedoch nur auf Englisch. Ich wünsche euch ein sehr erholsames Wochenende. EN: The only adjustment I made to this dress, was the neckline. The ponte, as mentioned is quite stable, and the neckband kind of stuck out at the sides and no amount of steam made it lie flat. I decided to fold the neckline inside the dress and topstitch it in place, and think it looks just as good. I think if I make another version of this dress, I’d draft a facing for a clean finish. Please find more details to this make, here. Have an excellent weekend!